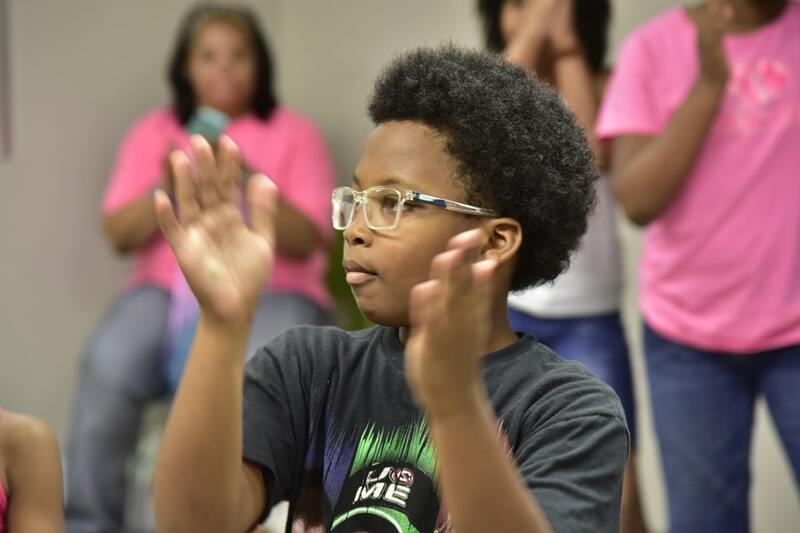 The Georgia Music Foundation partnered with the Boys and Girls Clubs of Albany to present a summer Music Camp June 19-23, 2017. 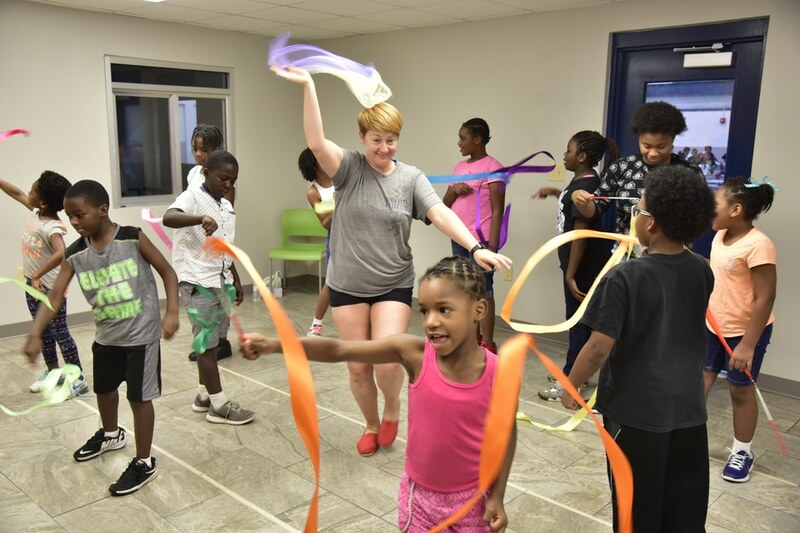 Twenty students elected to participate in the week-long series of programs including daily music- and arts-integrated activities that gave campers the chance to participate in music while learning about math, geography, history and science. (Keep it quiet, though – the kids didn’t realize how much they were learning while having so much fun!) Performances and workshops by local musicians and teaching artists kept the energy level strong, while daily dance lessons got students moving and sweating to their pop and hip-hop favorites. 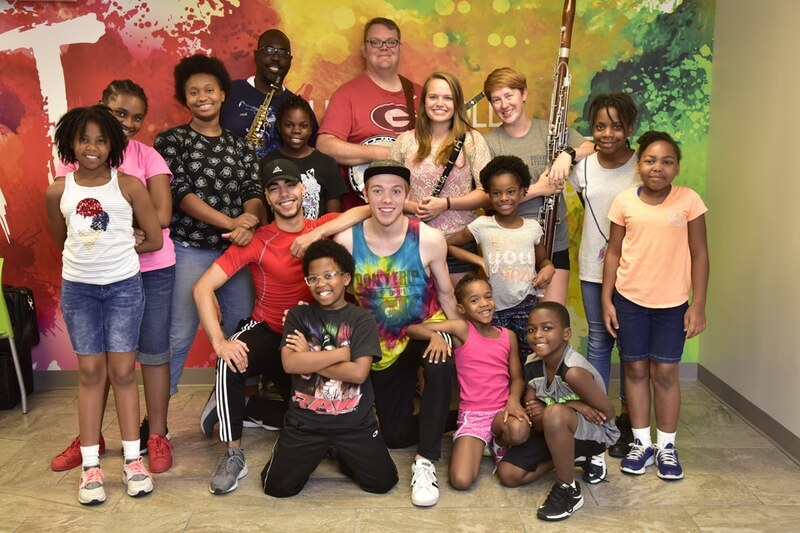 The Music Camp was facilitated by a group of counselors including Damon Postle and Maurice Le Flore, both doctoral candidates in music education at UGA’s Hugh Hogdson School of Music. 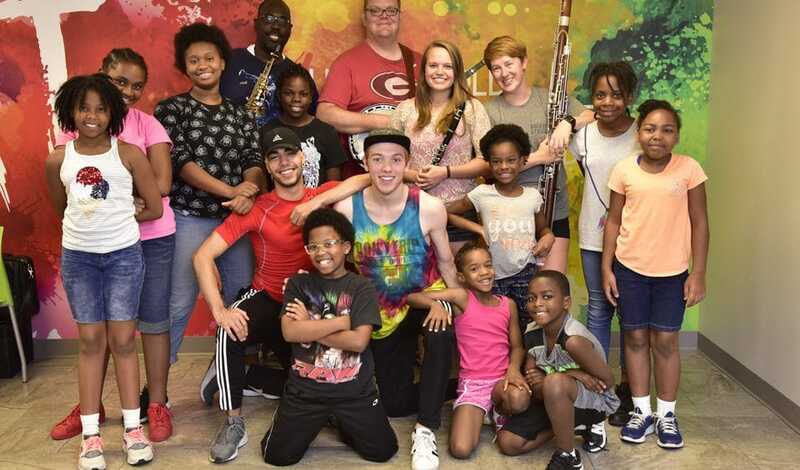 Bassoonist Nib McKinney and clarinetist Sable Thompson, who also are at the Hugh Hodgson School of Music studying for masters’ degrees, were on board as were Maximo Oliveira and Ryker Laramore, both students at the Florida State University School of Dance. 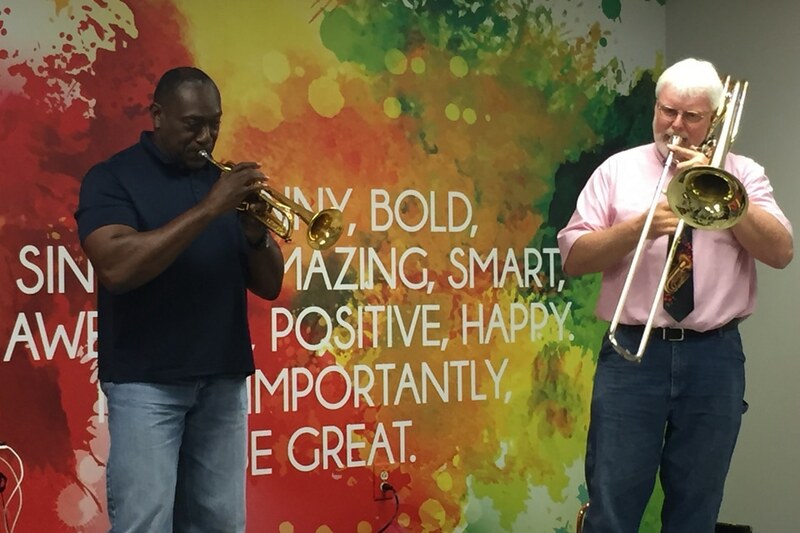 Dr. Ken Trimmins and Dr. Jeff Kluball perform for the campers at Boys and Girls Clubs of Albany. Local musicians performing for the campers during the week including guitarist, singer and songwriter Jon Smith; saxophonist, flutist and Albany State University (ASU) Band Director Mike DeCuir; trumpet player, ASU Assistant Professor of Music and Albany Symphony Orchestra member Dr. Ken Trimmins; and saxophonist, ASU Professor of Music and Albany Symphony Orchestra member Dr. Jeff Kluball. 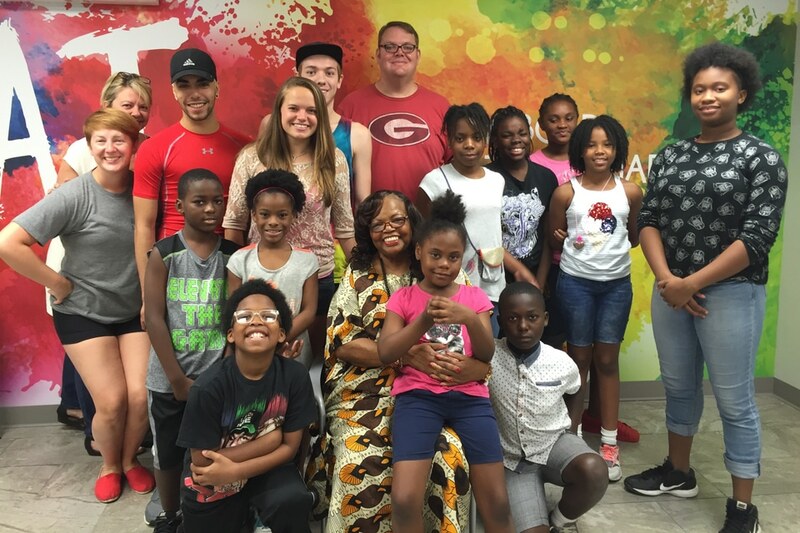 Freedom Singer Rutha Harris visits with Music Campers at Boys and Girls Clubs of Albany. On Thursday, Rutha Harris, founding member of the SNCC Freedom Singers and civil rights pioneer, visited with the students and talked about the continuing struggle for freedom and equality, answered a variety of questions and taught the campers several freedom songs. Teaching artist Dave Holland presents Pop Zing Boom! for music campers at Boys and Girls Clubs of Albany. 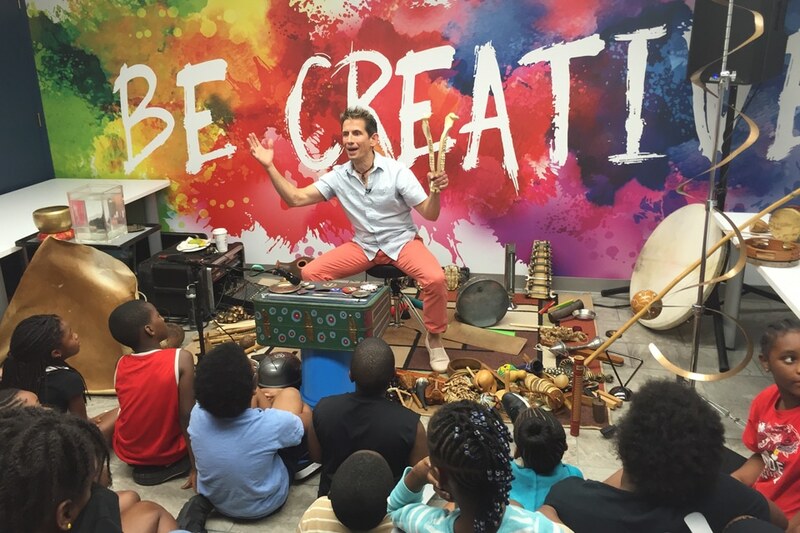 On Friday percussionist and teaching artist Dave Holland of Beatin’ Path Rhythm Events presented two interactive workshops, Pop Zing Boom!, an exploration of sound and science, and Drumagination, then led a Share the Beat drum circle to close out the week. 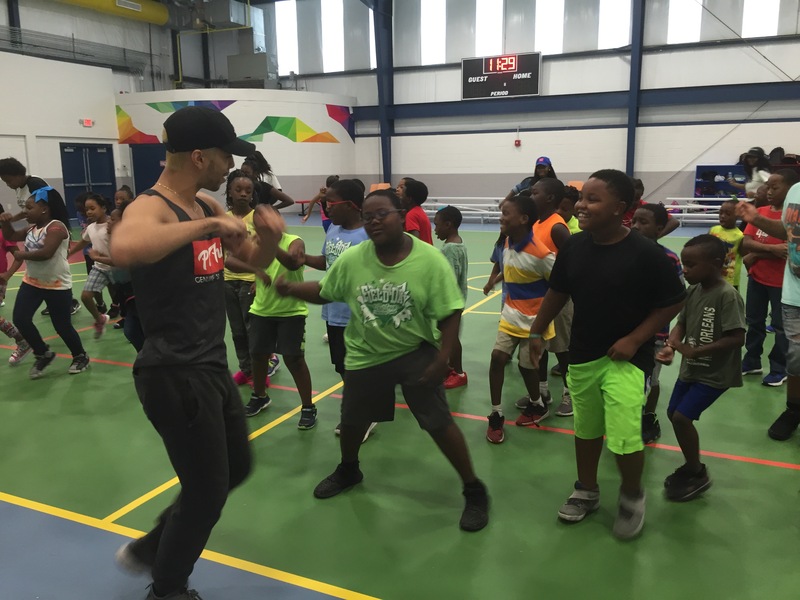 Maximo Oliveira gets all summer campers at Boys and Girls Clubs of Albany at Thornton Park involved in hip-hop dance.